Tuning, enhancing and upgrading your car are amazing things to do. Today most of the cars leave the factory with a set up for average driver expectations and average conditions. “Customization” has become a distinctive way to personalise the characteristics of the vehicle to the owner’s preference and driving style. For example, cars may be modified and upgraded to provide better fuel economy, increase engine performance, create a much better handling and enhance your car in striking distinctive looks with new set of wheels and aerodynamic components. But where do you start? It seems there is a huge “tuning maze” out there with countless offers, suppliers, products, parts and accessories etc, all designed to enhance your ride. Which parts suit my car best? Which parts suit my budget best? Is the quality of the supplier I chose in line with my expectations or am I paying too much for a sub-standard quality? Will I really receive my goods after I paid all upfront directly to a supplier overseas? What happens if the goods arrive damaged, how do I claim refund or compensation when supplier is overseas? How is the fitment? Is further work needed or will the parts fit well? How about the performance upgrades, are the figures quoted real or inflated? Am I really getting the best deal? Tuning Empire was created with one goal in mind: “to share our experience and expertise with automotive enthusiasts and provide the right parts at lowest prices” . We are in business to guide you through the tuning maze and provide you with all the answers for the above questions and more. We take away the question marks, genuinely advise on parts and suppliers, on quality and pricing, so you don’t run into any unexpected risks. We do it for over 15 years, day in day out, so you can benefit from our knowledge and do the right purchase, at right price, every time with us. No hidden costs, no surprises, no empty promises. We are buying for years from the same suppliers, and therefore enjoy the greatest purchase discounts which we pass on to you as a retail customer. We cater for all leading car brands, including Aston Martin, Audi, Bentley, BMW, Ferrari, Lamborghini, Maserati, Mercedes, Porsche, Range Rover and Volkswagen and selected others. Our product portfolio is continually growing. We are taking high strides to provide the aftermarket community with the best quality parts while delivering best customer service experience. Our main speciality are Complete Conversions including wide-body kits, matching wheels, exhaust system and lowering suspension. Such an upgrade is always a true statement on the road and always a head-turner. Custom enquiry? no problem – get in touch with us and our team will assist ! We are working closely with the below partners to deliver you streamlined product access via your trusted local shop and partner. CUSTOMERS: Select a new set of wheels or carbon fibre accessories for your new car right at the dealership and drive away with your personalised vehicle directly from the showroom floor. CAR DEALERS: get in touch with us to offer your customers a wider selection of wheels, body kits, carbon parts, exhaust systems and suspension products OR Make one of your showroom floor cars stand out from the crowd and upgrade with some new wheels or other enhancement options. More car sales are guaranteed! Get in touch to discuss special showroom pricing today! CUSTOMERS:Would you like an enhancement part for your car from us? Why not ask your Service Manger at your dealership to install it for you straight away. It pays out to have a great relationship with your dealership and the service manager as , apart from other benefits, parts installed by the dealership usually do not jeopardise your car warranty and you can rest assured, these will be installed with highest precision. Get in touch with us or ask your local service manger directly to get in touch with us to get your desired parts from us. SERVICE MANAGERS: If customers ask you for any upgrade parts which are not in your product portfolio do not say NO. Get in touch with us and we will advise and support you with any required parts like exhaust systems, carbon parts, performance upgrades, wheels and other. We are covering all tuning ranges and can promptly advise of the correct part and special pricing. Show your customers that you are a versatile Service Centre and bind your customers for long-term with an open-minded approach towards enhancement and personalisation of their vehicles. Happy customers are returning customers! CUSTOMERS: If you are getting your car fixed or new parts need to be ordered for your vehicle through a paint shop, ask for tuning replacement parts instead of the ‘boring’ original parts. Usually the body shops have no problem with ordering you a new front bar e.g. with LED lights or newly shaped rear wing. Sometimes a small surcharge may apply if the new part is above the approved insurance amount. If you want to have a complete body kit installed or just a new front lip or rear wing, ask your local paint and body shop for a price quote or contact us and we will assist. All our body kits are shipped primed, ready to paint but final preparation, paint and fitment takes place locally so the painters can match your car paint perfectly and there is no risk of scratches during transport. WHEEL AND TYRE SPECALISTS: Expand your wheel portfolio and offer your customers a wide selection of German and European wheels at affordable prices. If your customer has a special request get in touch with us and we will assist with great pleasure. CUSTOMERS:Ask your local mechanic for your desired performance parts and they will conveniently get in touch with us to discuss your needs. We are staying in close contact with you and your mechanic, provide support with the installation and of course 24/7 service in case of any questions. SHOP OWNERS | MECHANICS AND CAR SPECIALISTS: Get in touch with us if your customers are after ‘bit more’ than a car service. We advise on the right products to suit your customer’s needs and budget. Aftermarket wheels, cold air intakes, exhaust systems, suspension components etc are our speciality so get in touch today and expand your offerings and parts portfolio. 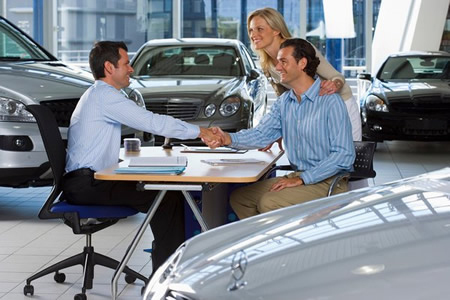 CUSTOMERS:You feel like the used car does not stand out enough? Is the product portfolio of your local parts supplier not covering certain product groups? Ask them to get in touch with us and we will assist with pleasure with the right advice and product knowledge. AUTOMOTIVE CAR AND PARTS WHOLESALERS: Are you in the business of selling good quality used cars yet have this particular car collecting dust for a while? Why not upgrading the wheels or the looks and turn it around quicker? If you are in the business of selling certain parts and would like to expand your product portfolio, get in touch with us and we will be more than happy to assist and co-operate with you. CUSTOMERS:If you are enjoying one of the best hobbies in the world – racing or even do it on more professional basis, speak to your racing mechanic about the parts you want to have in your car and he can get in touch with us to discuss options, pricing and delivery times. RACING SHOPS: Being a German-based company with worldwide distribution channels we have industry-best access to racing products and speciality parts. Get in touch with your special needs and we will do our best to deliver! We have a dedicated logistic team, which works for YOU ! Organising pick up, transport and delivery of the purchased items on your own can be a daunting task and very often an expensive experience if you are doing it once or twice per year. We are doing it daily for over 15 years, so you can rest assured that each package sent out by us is inspected thoroughly, packed adequately and that each package will arrive safely and in a prompt manner. Benefit from our specialised knowledge and experience! We like to compare it to a dentist or a car mechanic, if your tooth hurts, you do not try to fix it yourself? if your car broke down, you probably also seek specialised advice from an expert, this is same with us - if you are looking for quality performance and enhancement parts for your car and seek the best service and advice, talk to us! One of our most important abilities is to quickly analyse the cargo and choose the most economical way of transport to save YOU money. We combine products to reduce weight and size, we re-pack to a smaller size where possible, ensure packaging is transport-worthy and lastly, once items are shipped, provide you with a tracking number (where applicable) so you know when to expect your goods. We are working with a number of leading local and international transport services including mail services (DHL Post), courier companies (FEDEX, UPS, DHL etc.) as well as freight forwarders (air and sea-freight service). Our modification experts at Tuning Empire make sure that each customer is satisfied with every purchase and has the most pleasant and open experience. Ensuring full customer satisfaction is our highest priority. Our dedicated team shares same high-octane gasoline in their blood and brings with them a multitude of talents to give you an absolutely one-of-a-kind tuning experience. We are addressing all enquires with utmost priority and get back to you with complete information as soon as possible. Tuning Empire enjoys unparalleled presence including specialist product depth and an array of exclusive brands and products specifically designed for discerning car owners and enthusiast alike.